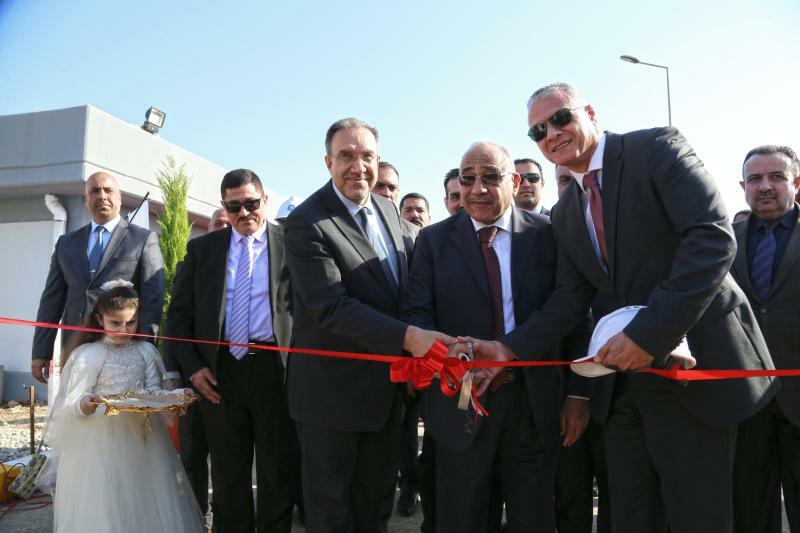 Baghdad, Iraq - January 23, 2019: Underlining their joint commitment to support the development of Iraq’s power infrastructure, the Iraqi Ministry of Electricity (MoE) and GE Power’s Grid Solutions business (NYSE: GE) celebrated the energization of the Baghdad West North substation. Located about 35 kilometers away from the city, the substation can help connect up to 1,000 megawatts (MW) to the national grid, decreasing bottlenecks and increasing the hours of available power. The event was attended by H.E. the Prime Minister of Iraq, Adil Abdul-Mahdi, senior officials of the Iraqi Ministry of Electricity including H.E. Minister Luay Al-Khatteeb, various government entities, GE and other organizations.